Focus group research completed late last year by Dr. Christian DeLucia, Associate Professor, College of Psychology, and his team at Nova Southeastern University, showed that all of the 20 young heroin and opioid addicts participating in the study praised the use of music as the key modality in their therapy. 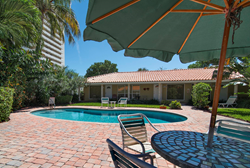 Each of the residential and outpatient study participants were within a week of completing a rehabilitation program at the Recovery Unplugged® Treatment Center (http://www.recoveryunplugged.com) in Fort Lauderdale, Florida. Dr. DeLucia and his team are now in the process of following up this qualitative research with a quantitative study to compare Recovery Unplugged client outcomes with outcomes of clients receiving other treatments that do not offer an immersion in music. Recovery Unplugged’s AMA rate is 7%. A possible implication of this lower AMA rate at Recovery Unplugged is that the music helps with initial client engagement, which ultimately leads to higher rates of treatment completion. Decades of research suggests that exposure to more treatment is associated with better long-term outcomes (Simpson, 2004). The next phase of Dr. DeLucia’s research will examine whether Recovery Unplugged’s music-based treatment is associated with lower relapse rates compared to relevant existing data sources (e.g., published outcomes from other substance use treatment programs).